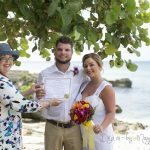 It might seem rather odd, for me to start this blog talking about renewals, but more and more people are choosing to renew their wedding vows while on an exotic vacation. I have noticed this trend increasing in my business over the last two years. 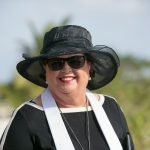 I think it is becaause us "baby boomers" have more disposable income, and have reached the point where we can relax and enjoy ourselves by doing something different and something fun. 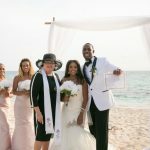 In the wedding industry we hear about "mid-life"brides and "encore brides" and I will be talking about these in due course, but for now, I say hats off to those couples who want to mark something significant in their lives by renewing their marriage vows. In my experience, long-married couples are much more likely to pay attention to the renewal ceremony, and carefully choose the words they say. 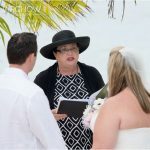 I really enjoy working with a couple on a renewal, and writing a special ceremony which has particular meaning for them. Sometimes I write parts for their children or grand-children to say, so that they can feel included. A renewal is wonderful opportunity to spend time with friends and family, in a relaxed and safe environment like the Cayman Islands.